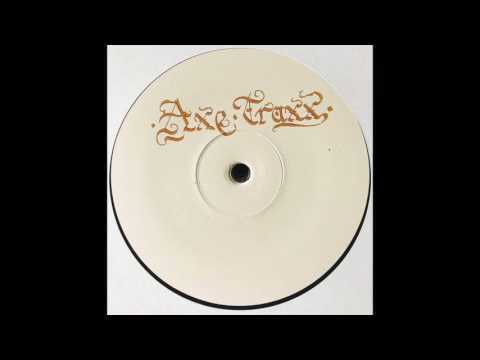 London based Axe On Wax Records (check out our interview with label-head Fede Lng) is back with another stellar release on the sublabel, Axe Traxx, which kicked off last year with a banging EP by Australian duo SONDERR, featuring a remix from Mall Grab. The limited-run, hand-stamped white label has put out several releases already, highlighting producers such as Trudge and RVL. Axe Traxx explores the lo-fi side of the Axe On Wax deep house sound (exemplified by the recent DJ Aakmael 12”, « Tales From The Deep Side »), with grainy percussion and darker melodic lines. The fifth release welcomes Tape Hiss (SoundCloud) to the Axe Traxx family with « L.A Tapes Ep. »The Brooklyn-by-way-of-San-Francisco producer has two stellar records out on Love Notes From Brooklyn (with a 2×12” slated for release in the coming weeks), which combine punchy bass lines with airy pads and synth melodies to create ethereal dance tracks. « L.A Tapes Ep » continues in this vein while embracing the grittier Axe Traxx sound with three emotive house burners, and a remix from Russian producer, Low Tape (SoundCloud). ‘Mercury’ opens the EP with an arpeggiated synth line that builds in complexity above a thumping kick and twangy bass. A2, ‘Music And The Spirit,’ begins with a beautiful ambient introduction that is gradually juxtaposed with dense, rhythmic percussion (especially those crunchy claps) and an acid bass line. The B-side features two versions of ‘Just Kids:’ the original, and a remix by Low Tape, which is our premiere today. « L.A Tapes Ep » is available for pre-order on Bandcamp.